Isn’t it enough that the notorious terrorist was finally captured and laid to rest in the high seas after brutally massacring thousands of innocent lives on September 9, 2001? According to USA Today, Oscar-winning director Kathryn Bigelow and screenwriter Mark Boal have been meeting with actors for an Osama bin Laden assassination project, tentatively titled Kill Bin Laden. The news first broke via The Hollywood Reporter. There is lively discussion in this article about the future direction of this movie. 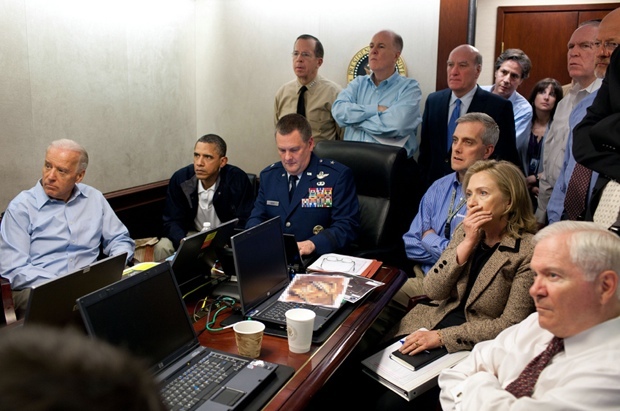 In other words, what should be the focus in the wake of Bin Laden’s death? How about laying this movie to rest? Why must we glamorize this cruel, horrific terrorist and relive the horror that was 9/11? Are we crossing a line here? I can understand a documentary, as it would be important for historical sources, but not a Hollywood movie. How do you feel? Would you pay to see this movie? Will it receive the accolades similar to other other non-fiction movies such as Schindler’s List? Did I just open a can of worms? You’ve raised a valid point. Why glamorize bin Laden? I can see that people want to glamorize the Navy SEALS who took him out, but I still think it’s a bad idea. I would never go to see it. I couldn’t even make it through all of Schindler’s List because it was too heartbreaking. Yesterday I saw people interviewed on TV who had lost loved ones on 9/11 and some of them were brought to tears talking about that painful day. Instead of some hotshot Hollywood types making money from the 9/11 tragedy, they should do something to honor the memory of those lost on 9/11 instead. The movie needs to be about the failed attempts, and finally the successful mission that ultimately leads to his capture. It should stress the point that justice will be done, and hopefully send a message to potentially future terrorist leaders that they are not invulnerable.